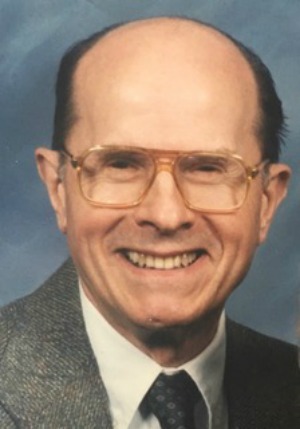 Albert Westcott Chapple, 93 of Homestead Village in Lancaster, Pennsylvania, passed away peacefully on Wednesday February 14th with family by his side from complications of Parkinson’s Disease. He was the Husband of Joann Reaney Chapple for 60 years. Albert was born in Passaic, New Jersey on October 22, 1924. He graduated with honors from Nutley High School in New Jersey. Al served for three years during World War II in the U.S. Army Signal Corps secret intelligence as a radio operator, intercepting German submarine and diplomatic messages while serving in the United States and intercepting German army traffic while serving in Europe. He held a BA in Economics with a minor in the sciences from Cornell University and an MBA in Marketing from New York University. His business career was diverse. It started in market research and marketing for industrial companies including Ingersoll Rand, Perkin Elmer and Keuffel and Esser. He then became an investment analyst with Dean Witter and later with First Boston specializing in technology companies. He organized a series of European fieldtrips bringing US Investors together with multinational management. In the early 1980’s he took two years away from business to design and construct a unique post and beam house near Charlottesville, Virginia. Together with his Wife he ran several small businesses in retail food, wholesale seed and specialty printing. He was an Albemarle County, Virginia Rotary member. His interests included theater, military and political history, sports cars, travel and most of all his Wife’s continental cooking. Preceding him in death were a Son, Stuart Chapple and two Sisters, Marjorie Driscoll and Helen Toepfer. Albert is survived by his Wife, Joann Reaney Chapple, Daughter, Jennifer Chapple McKeough of The Woodlands, Texas and Twin Granddaughters, Megan and Madison McKeough. A Memorial Service will be held in the Chapel at Homestead Village at 1800 Village Circle in Lancaster on Monday February 19th at 10:30am. I am sorry for your loss of Albert. May the “God of all comfort” embrace you and bring to your minds joyful memories. All the best wishes for your family at this time, take care.